Famicom and Nintendo Entertainment System are registered trademarks of Nintendo. GameGenie is a registered trademark of Galoob. The author is in no way affiliated with Nintendo. The author is in no way affiliated with any pirate group out there. The author cannot and will not provide you with any NES or Famicom games. 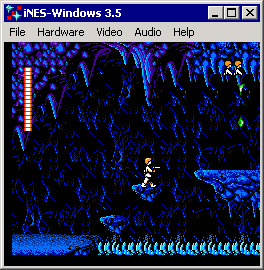 The latest iNES 5.6 for Windows and Linux, released on March 27 2019, prevents VBlank interrupts from being disabled once VBlank occurs (Double Dragon), blanks sprites when the left edge of the screen is being blanked, and fixes mapper #65 (Irem H3001 chip). 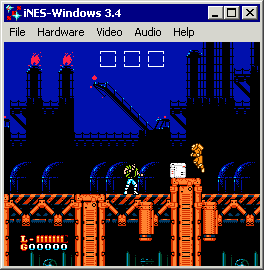 If you have an Android device, the iNES-Android has now become part of VGBAnext, my universal GBA, GBC, GB, and NES emulator. I had to do this because Google Play thugs have banned the original iNES app saying that its built-in NES cheats "violate Google Play policies" (really?). If you encounter any problems, report them via the discussion group. The complete list of features and the list of new features and fixes can be found in the documentation. 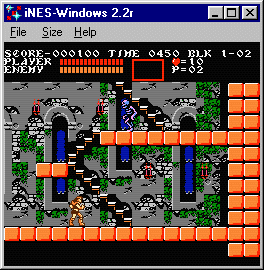 iNES is a program that emulates Nintendo Entertainment System (NES) and Famicom videogame consoles on your computer. 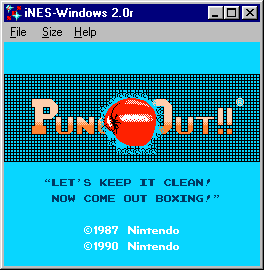 It plays NES games on PCs, PocketPCs, Macs, Unix boxes, etc. 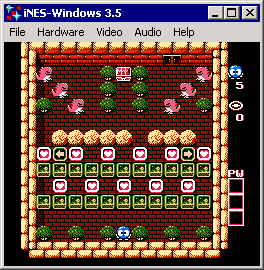 The idea to write a NES emulator originated from Alex Krasivsky who found some Famicom programming information on the Net and wrote the initial code. At some point, Alex lost interest in the project, while I eventually rewrote the code, made it closely mimic the quirks of the original hardware, and expanded it to support many different cartridge types and hardware add-ons. 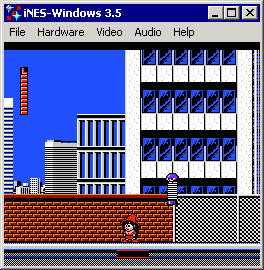 At the time of iNES release in 1996, there was only one other NES emulator, Pasofami, written by a Japanese author and really difficult to use. 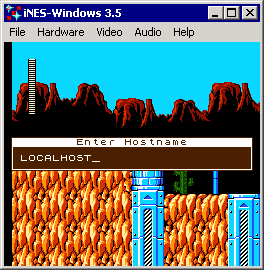 iNES became the first NES emulator usable by a non-expert, and also the first emulator to use the .NES cartridge file format. 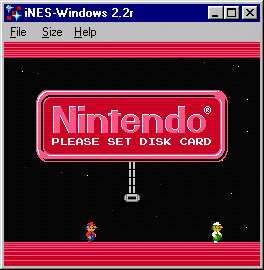 Unfortunately, releasing a playable emulator for such a popular console as NES has started a wave of piracy. At the time, I received emails from a few people warning me of such an outcome, but discarded them as unrealistic: after all, the Virtual GameBoy emulator did not cause too much of a ruckus. 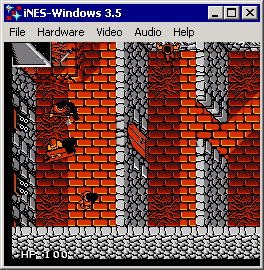 But iNES somehow was different, probably because so many people had fond memories of their first videogames. Looking back, I think that the rise in console gaming piracy was inevitable as computers became fast enough to emulate popular consoles from the past. Over the years, I and other people all over the Net have found more details on how NES hardware works, either by experimentation or by looking at the old programming documents. 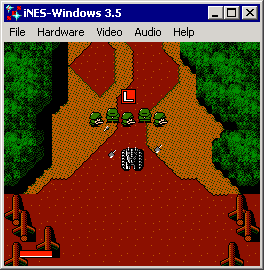 The current version of iNES supports seven dozen different cartridge types, loads software from Famicom Disk System disk images, and even runs VS System arcade games. 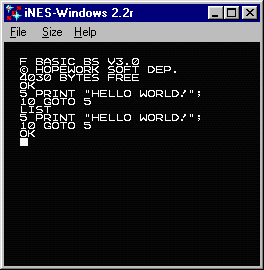 You can also use GameGenie cheat codes and even program NES in BASIC with the FamilyBASIC keyboard emulation. 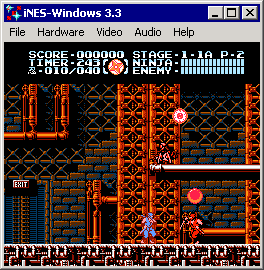 For those who still develop their own software for the NES, there is a built-in debugger. If you just use iNES to play games, the game state saving feature lets you restart gameplay from any point in the game. Finally, if you like game tunes, save them to MIDI files with the soundtrack logging feature. 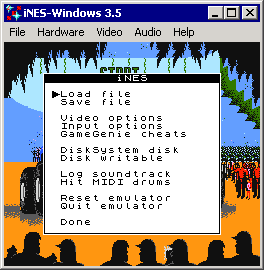 iNES is written in portable C language. It will run on any sufficiently fast computing device, be it a videogame console, a PDA, a cell phone, an MP3 or DVD player, or even a digital camera. 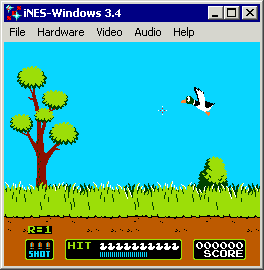 If your company is considering the use of NES emulation in its products, you can license the iNES source code from me. I am also available for consulting work in the software emulation, embedded programming, and other fields. See my resume and contact me if interested. 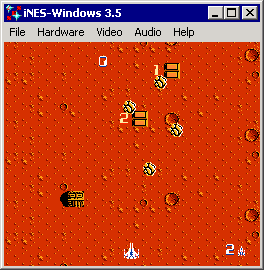 Neither iNES-Windows, nor iNES-Symbian, nor any other legal version of iNES contains any games, as they are copyrighted by the companies which produced them. You will have to find the cartridge images yourself, using Google or other search engines. I do suggest you buy the original cartridge for every image you are using, or use a copier on the cartridges you own. 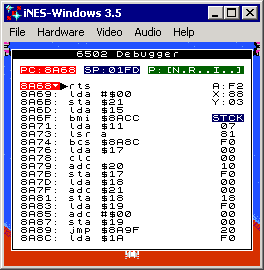 EMUTools, 6502 emulation core, etc.